The popular Beach of Es Trenc is a virgin white sandy beach located in the south of Mallorca, in the Natural Park of Ses Salines de Es Trenc. 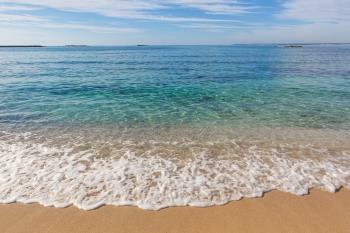 The beach stretches between the towns of La Rapita and Colonia de Sant Jordi. Las Salinas collects the Flor de Sal (salt flower), a high quality salt. Santanyi Rentals offers Villas, Farms, Chalets and Vacation Homes near to this amazing beach. 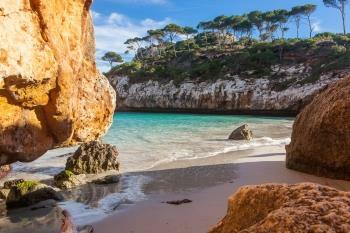 Cala Llombards is a sandy beach located on the southeast coast of Mallorca. The name of Cala Llombards comes from Es Llombards, a small town located in the municipality of Santanyí. Santanyi Rentals has a varied offer of Villas, Chalets, Houses and Holiday Accommodations located in the surroundings of this wonderful beach. The beach of Es Calo des Moro is located in Santanyi, on the south coast of the island of Mallorca. It is a small well-known and photographed beach that brings together a family and young people. The Beach of Es Caló des Moro is very close to all the Houses, Villas, Chalets and Holiday Accommodation managed by the Santanyi Rentals Agency. 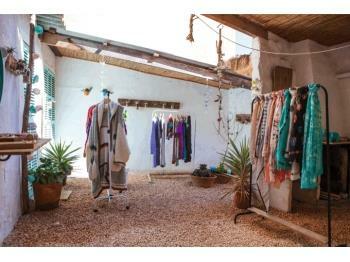 The Santanyi Local Street Market is held every Wednesday and Saturday morning from 9:00a.m. to 3:00p.m. The market extends through Santanyi town centric streets and the main point is located in the Main Square. You'll find fruits and vegetables, directly from the farmers, clothes and other utensils. Santanyi Rentals invites you to get to know it. Mondrago Natural Park is located near the town of Santanyi. There is a car at the entrance. 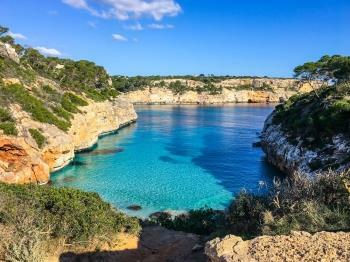 The Natural Park is located on the south-east coast of Mallorca and is formed by cliffs, Mediterranean vegetation, traditional farming cultives and virgin beaches of fine white sand and transparent waters. Santanyi Rentals invites you to visit it. Cala Figuera is the port of Santanyi. 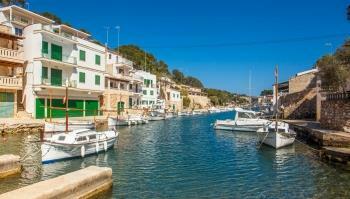 A tiny coastal port based in the south of Mallorca founded by ancient fishermen. The port is formed by the mouth of two streams. It has mooring area for boats and the mouth to the sea is formed by cliffs. There is a walk with shops and restaurant. Santanyi Rentals recommed a day visit.